Find an error? Please email me! If you are calling Guadalajara from the U.S. then here's how to do it. Don't worry these are both the same. I just wanted to write the second option because personally I prefer the second format when I'm reading it, since this is how our numbers look in the U.S.
Plus the second version is easier to memorize! If you don't have international calling on your phone then head to your local convenience store and buy an international calling card. Follow the instructions and place your call. Are you planning a Guadalajara Vacation? 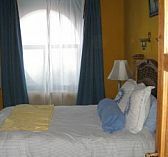 Find some great Guadalajara apartment rentals!